…. tracks while withdrawing from Soviet territory, 1944. "German troops in Soviet Union destroying the railroad during an organized retreat. 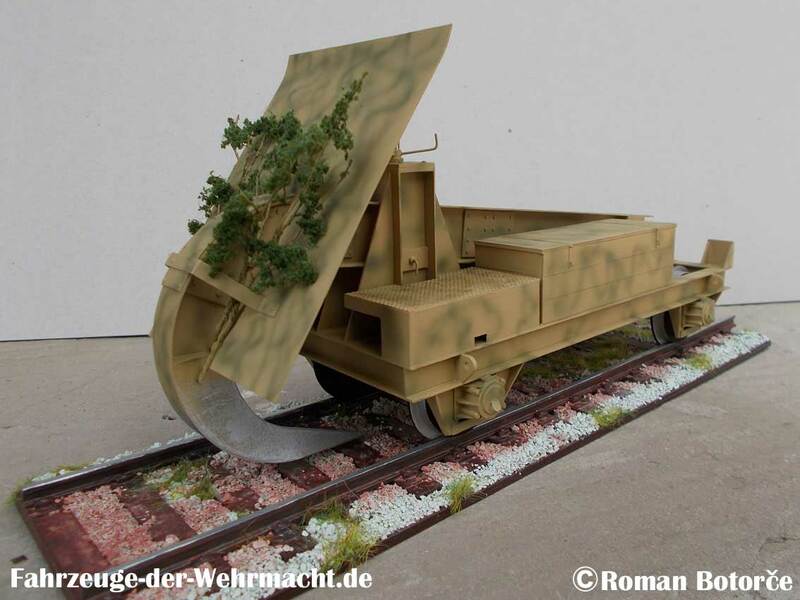 The Schienenwolf (Rail Wolf), sometimes also referred to as a Schwellenpflug (Sleeper Plough) was a German rail vehicle built to destroy rail lines through the use of an immensely strong, hook-shaped armored plough. 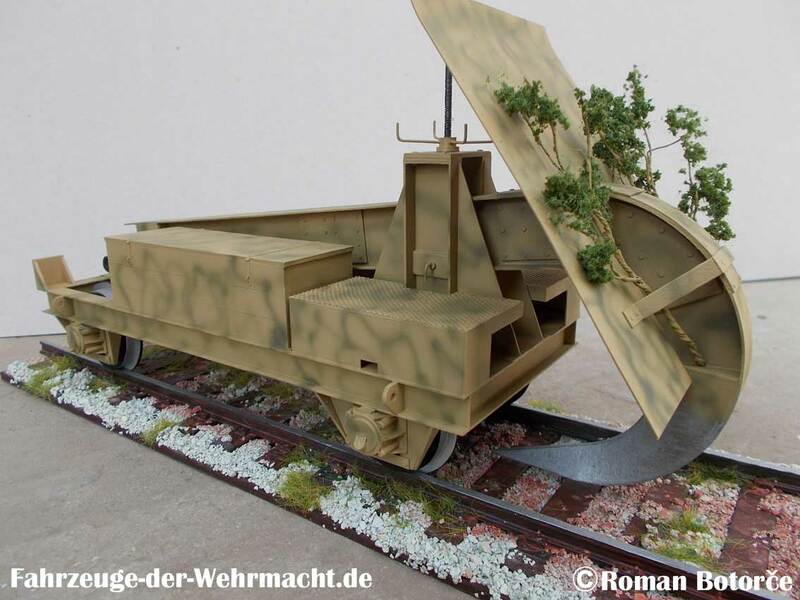 The German railroad ploughs were produced by Krupp factory in 1942. The platform on which was mounted a giant hook that spearheaded went under the sleepers, hauled by two locomotives to work for him at the speed of 7-10 km/h. The hook was lowered into the middle of the track resulting in pulling the rails out of alignment, tearing up the middle of the track, and breaking the sleepers. This destroyer required to bring into position only 6-8 minutes, served by a team of 10 people. Railway tracks were completely destroyed, sleepers by 100%, the rails at 70-93% and bonding of up to 30%…." 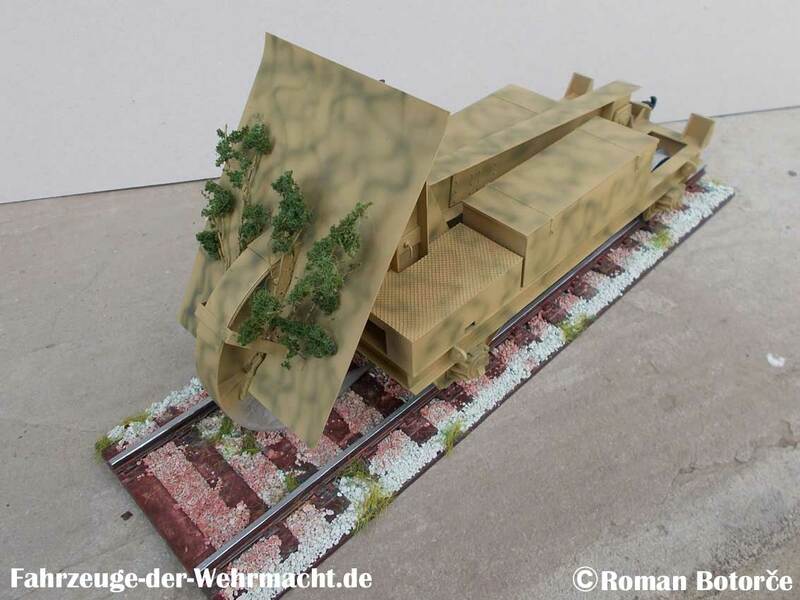 Very neat model, though I can't help thinking it would be more impressive if it had been modeled with destroyed sleepers behind it. Ripping up perfectly good rail track? Sleepers are just wood. They needed to deform the rails in the model of Sherman neckties.